Description: EZ Quilting Big Stitch Marking Wheel create evenly spaced hand stitches without having to "judge it by eye". 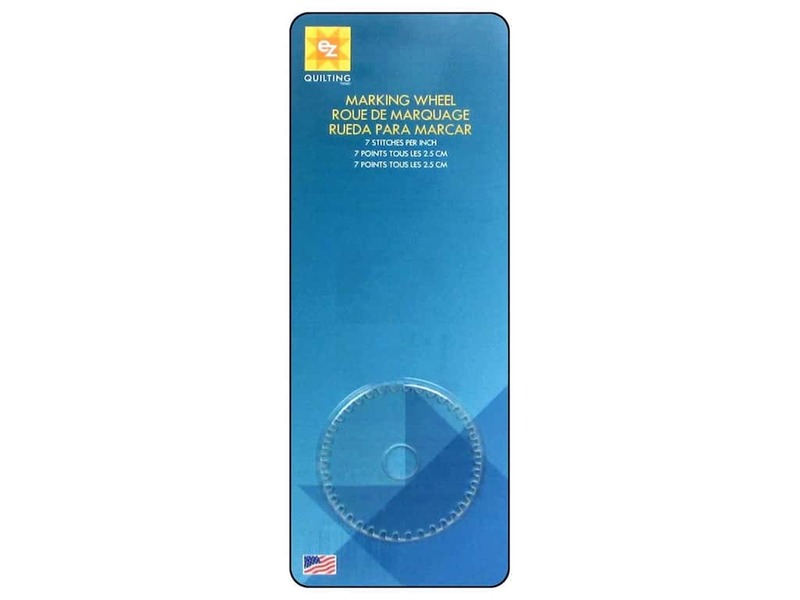 Works just like a tracing wheel but this wheel will produce evenly spaced dash marks. Must be used with Big Stitch Marking Wheel and transfer paper, both sold separately. Designed for 7 stitches per inch. See more EZ Quilting Notions.